Always ready to actively engage in the life of the city, Christ Church Cathedral has prepared a virtual feast for Mix Music, A Night at the Cathedral, its contribution to the Nuit Blanche segment of the annual Montréal en lumière festival. Settle in for the evening or choose among a recital of Bach’s organ music performed by Patrick Wedd; a plainsong religious service; four films by Aboriginal filmmakers; or performances by the Montreal Gay Choir and Sympholies Vocales. Visit booths and talk to the volunteers involved in the Cathedral’s social justice action groups. Take in an exhibition of religious clothing or a timeline featuring photos of the Cathedral through the years. What a great way to learn all about the Cathedral’s traditions and daily activities! From 4:30 pm on Saturday until 1 am Sunday, enjoy a cup of fair trade hot chocolate ‘on the house’ and experience the warm welcome characteristic of the Cathedral and its people. One of Christ Church Cathedral’s most cherished traditions is that of holding free concerts in the nave of the church. Its superb acoustics, exceptional organ and historic charm have long made the Cathedral a popular concert venue. However, it was only in 2013, under the aegis of Jonathan Bailey, partner of the then Dean, that the Oasis Musicale was established as we know it. Catherine St-Arnaud, co-organizer of A Night at the Cathedral, took over in 2016 and has since handled the concerts. Catherine St-Arnaud, Soprano and former Cathedral chorister, has managed Oasis Musicale concerts since 2016. Photo: Julie Artacho. The promotion of these services is strictly word-of-mouth, but requests are so numerous that they sometimes require organizing more than two concerts a week. Reserving a good concert hall, sound systems and the instruments required to put together a recital is very expensive and few students can afford it. Making all this available to young musicians is the Cathedral’s way of supporting them at the beginning of their careers. Artists such as Tomoko Inui and Haruyo Yoshino-Platt, who are now appearing on the international circuit, started out playing Oasis Musicale concerts and now come back every year to keep in touch with their Montreal fans. The success of Saturday concerts at the Cathedral inspired St. George’s Church on Peel Street to join the program and recitals have been held there as well since June of 2016. Oasis Musicale concerts are free for the public as well, though concert goers can make a voluntary contribution if they are so inclined. 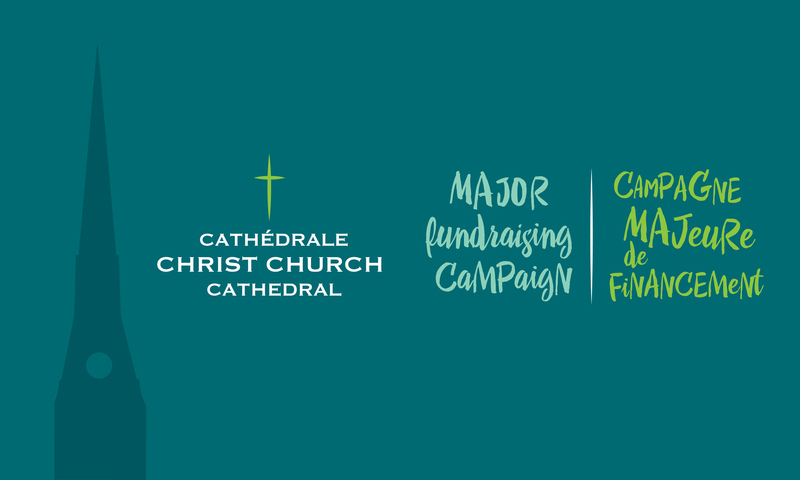 Proceeds are shared between the artists and the Cathedral, with the Cathedral’s share going to pay expenses related to Oasis Musicale activities. 4:30 pm to 5:30 pm Oasis Musicale concert « Bach at the Cathedral ». Third of a series of six Bach organ music recitals presented by Patrick Wedd. 7:00 pm to 7:30 pm Sympholies Vocales choir—forty French West Island singers under the direction of Julie Dufresne. 7:45 pm to 8:15 pm Choeur Gai de Montréal—Men’s choir, of which most members are from the Greater Montreal LGBT community, singing an eclectic popular repertoire under the direction of Julie Roy. 8:30 pm to 9:00 pm Sympholies Vocales. 9:15 pm to 9:45 pm Compline (Religious plainchant service). 9:45 pm to 10:15 pm Choeur Gai de Montréal. 10:30 pm to 11:00 pm Sympholies Vocales. 11:15 pm to 11:45 pm Choeur Gai de Montréal. Midnight to 1:00 am. Jazz concert presented by McGill University students. Your donation to the Campaign will fund the restoration of the Karl Wilhelm organ and the replacement of our concert piano. It will help us pay for the installation of an electronic lift to allow people with reduced mobility to access the mezzanine area and for repairs to the church interior, lighting and heating systems. Big or small, every donation counts! To help us fill the air with music, please click here. To subscribe to Rising Up!, please click here.